Joseph Nicholas, M.D., M.P.H., is the new president of the Highland Hospital Medical Staff. He is working closely with other members of the medical staff leadership team, Colby Previte, M.D., President-Elect, and Timothy Lum, M.D., Secretary-Treasurer, to make strategic plans for the next six years. A top priority is to enhance clinician-to-clinician relationships. Several initiatives are being considered. “We are looking at ways to enhance relationships with our community physicians and develop more channels of communication,” said Dr. Nicholas. “URMC and Highland are working on a unified solution to refine the ways we stay in touch by phone, texting, faxing, secure messaging, paging, and email.” This summer a task force will be created that will propose the best channels to facilitate clinician-to-clinician contact related to patient care. 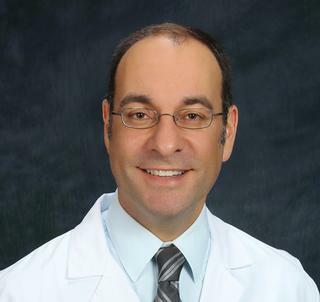 Dr. Nicholas is also highly involved in the development of electronic communications throughout the UR Medicine system. “This is a constant work in progress and we are open to all suggestions,” he said. Another priority of the leadership team is to make more opportunities for the medical staff to interact as a group to share clinical successes and challenges. “One way we hope to do this is by creating joint grand rounds where the faculty of two departments will work together and co-lead the presentation,” said Dr. Nicholas. The medical staff will also continue to have quarterly social events. The medical staff will continue to support nursing education scholarships as well as awards to recognize outstanding clinical colleagues. “We want to honor our Highland nursing and provider colleagues, and help support them in their professional and clinical goals,” he said.